Iowa’s Senator, Chuck Grassley, who is a champion of several whistleblower protection laws, announced he will create the first-ever Senate whistleblower protection caucus. The caucus will consist of a group of senators dedicated to protecting whistleblowers and ensuring that whistleblower laws are enforced. Grassley will be rallying support from Congress over the next six months, in the hopes of having a fully operating group by the beginning of Congress’ next session in January 2015. This announcement comes 25 years after the passage of the Whistleblower Protection Act in 1989. This law was designed to protect federal employees who report fraud within the government. It extended to the federal workforce protections similar to those available in the private sector from other laws, such as another of the Senator’s key pieces of whistleblower legislation, his amendments to the False Claims Act in 1986. Hopefully, through this newest whistleblower protection initiative, other senators will also join the campaign to stand up for the rights and protections of whistleblowers. Integration of a whistleblower hotline is powerful tool to help manage risk. Waste, fraud and abuse of authority can all be combated by having an independent reporting mechanism that’s available to your employees to report malfeasance. 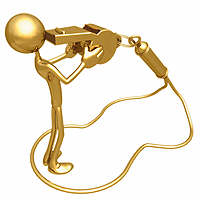 WhistleBlower Security should be one of the first places your employees can go to report on any perceived wrongdoing or perceived risk.